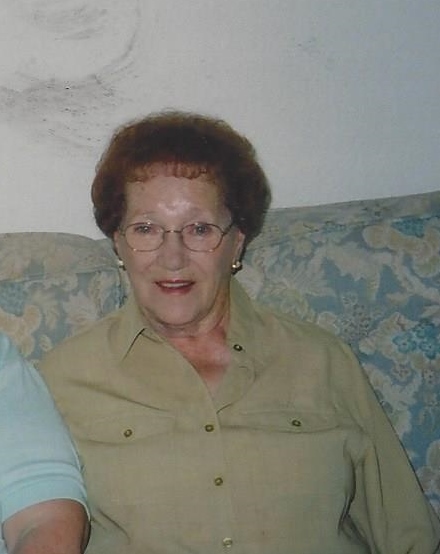 Margaret "Edith" Schenk, 97, of Torrington, CT, passed away Friday, September 7th, at Valerie Manor. She was the wife of the late Frank Schenk. Margaret was born in Westville, Nova Scotia on November 4, 1920, a daughter of the late Gertrude and Henry McNeil. She is survived by a son Edward and wife Pamela Schenk of Torrington and grandchildren Deborah Schenk Cosker and husband Jim of Vernon, Alexa LaRocco Wilson and husband Jake of Aurora IL, and son in law Don LaRocco as well as a daughter in law Donna Wagner. She also leaves a sister Doreen McNeil Briggs of Point Claire Quebec and several nieces and nephews all from Canada. She also leaves step granddaughter Betsy Cattey and step great grandchildren Nicholas and Michael Cattey. She was predeceased by son Robert Schenk, infant son Frank Schenk and her daughter Sandra LaRocco, sisters Elsie McNeil Stewart, and Lorraine McNeil Muirhead and brothers John Henry, Willard, Edison, and Joseph McNeil. The family wishes to thank the staff at Valerie Manor for their outstanding care and compassion. Funeral Services will be held 11:30 AM on Monday, September 17th at Phalen Funeral Home in Torrington, CT .Burial will follow at new Saint Francis Cemetery. Friends may call prior to the service from 10:30 AM to 11:30 AM on Monday. Memorial Contributions can be made to St Jude's Children's Hospital.